In the modern era, the concept of practicing one’s trade, profession or business has evolved a long way compared to how it was perceived in the yester years. The law has also as a matter of public policy opposed any interference with respect to an individual’s freedom of entering into contracts and on imposing restraints on one’s personal liberties. When the principle of restraint of trade was incorporated in the Indian Contract Act in the year 1872, most individuals were either employed in the manufacture or sale of goods and other commodities. But with the advent of various technological advancements coupled with the huge impact of globalization in our economy with companies investing millions of dollars in R&D, information technology, patents and the like, the logical question is shouldn’t it be reasonable to impose certain restrictions against employees from pursing their trade, profession or business if it impinges and affects the business or relationship of the employer with its customers or if it means using to their advantage confidential information or secrets? Employees willingly sign Non-disclosure or Non-confidentiality agreements at the time of joining any employment, but they mean nothing if the same cannot be imposed post an employee’s term with the company has ended, especially considering the fact that s/he might have been privy to certain confidential or sensitive information during his/her tenure. This piece, therefore, emphasizes the need to bring in a change and do away with the theory of absolute restraint as discussed in Section 27 of the Contract Act, and bring out a common ground to protect equally both the employers’ and employees’ rights. Section 27 of the Indian Contract Act, 1872 stipulates that every agreement by which an individual is restrained from exercising any lawful profession, trade or business of any kind, as void. However, this Section lays down an exception wherein any agreement not to carry on business of which goodwill is sold is not considered a restraint. Section 27 which follows the Field’s Draft Code for New York, ironically was never adopted in New York but was adopted in four American States (California, North & South Dakota, and Oklahoma). The original draft of the Indian Law Commission did not contain any specific provision on the subject. The provision was incorporated in this Act at a time between the resignation of the Indian Law Commission and the enactment. The object appears to have been to protect trade. It has been said that Indian trade is in its infancy and the legislature may have wished to make the smallest number of exceptions to the rule against contracts whereby trade may be restrained (HaribhaiManekal v. SharafaliIsabki, (1897) 22 Bom 861 at 866). 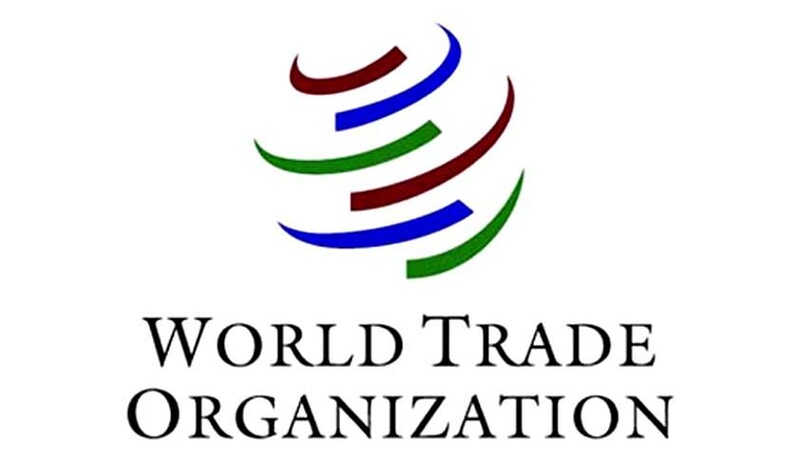 The Section is general in its terms and unequivocally declares all agreements in restraint of trade void pro tanto, except in the case specified in the exception. This Section lays down a very rigid rule invalidating restraints, not only general restraints but also partial ones, and also restricts the exception to narrow limits. Nevertheless, if the parties wish to implement it, they would not be acting illegally and the Court cannot intervene to prevent them from doing so (Boddington vs. Lawton (1994) ICR 478). Section 27 was enacted at a time when trade was underdeveloped and the object underlying the Section was to protect the trade from restraints. But when trade in India has developed to a larger extent, there is no reason why a more liberal attitude should not be adopted by acknowledging such restraints as reasonable. In fact, the Law Commission of India recommended that this Section be amended to permit reasonable restraint on the right to carry on trade, which unfortunately was never implemented by the legislature (Law Commission Of India, 13 report, 1959, para 55). Even the Allahabad High Court has observed that ‘it is unfortunate that Section 27…seriously trenches upon the liberty of the individual in contractual matters affecting trade’ (Bholanath Shankar Dar vs. LachmiNarain, AIR 1931 All 83). But a 3 Judge Bench of the Supreme Court of India in Superintendence Co. of India Pvt. Ltd. v. KrishanMurgai,AIR 1980 SC 1717,while interpreting the contours of Section 27, categorically arrived at the conclusion that the Section will have to be interpreted literally and no two meanings can be attributed to it. According to the Court, all restraints on an individual’s liberty to practice any trade, profession or business of one’s choice is void and against public policy and the concept of reasonableness & fairness will be not be applicable to agreements in India as compared to the United Kingdom. Section 27 has labeled all restraints as void. But the common law principle and judicial interpretation have split restraints into two halves; restraints applicable during employment and those applicable post-employment. Uniformly throughout various jurisdictions in the world all restraints imposed on an employee during his employment are prima facie valid and cannot be treated as void or against one’s fundamental right to practice any trade, business or profession. By principle, any agreement of service by which an employee binds oneself, during the term of his/her agreement, not to compete with his/her employer, directly or indirectly, is not in restraint of trade. This principle was validated by the Supreme Court in Niranjan Shankar Golikari vs. Century Spg and Mfg. Co. Ltd., AIR 1967 SC 1098. In this case, the respondent company entered into a collaboration with a German company, which agreed for a consideration, to transfer their technical know-how to be used exclusively for the company’s tyre cord yarn plant. The agreement provided that the company would keep the secret during the period of employment. Three years after this, all technical information, knowledge, know-how experience, data and documents would be passed by the German company to the respondent company. The coventor was appointed as shift supervisor on the condition that he would have to sign a contract in the standard form for the term of five years, which was accepted by him, the covenant being that the coventor would devote wholly all his time and energy to the business and affairs of the respondent company and shall not engage directly or indirectly in any business or serve in any capacity in any business whatsoever other than that of the company, including his leaving the company before the expiry of the contract. The coventor in this case, after receiving training, resigned and took a similar employment with another company. The Court while granting injunction to the respondent company held that the coventor was restricted only to the period of service not to work with anyone else and it was, therefore, a reasonable and necessary restriction for the protection of the employer’s interest. The Court further held that there was nothing to show that the enforcement of the covenant would lead him to a state of idleness or his being compelled to go back to the employer and that it was not a valid consideration that in another employment the coventor would get a lesser remuneration than the one paid by his new employee. In contrast to the above principle expounded by the Court in Niranjan Shankar Golikari, the Supreme Court in KrishanMurgai has had an opportunity to deal with covenants post-employment, which principle till date has been followed by all subsequent decisions. The Court in this case dealt with the enforceability of a service contract post-employment. As compared to the case in Niranjan Shankar Golikari, which dealt with a restraint operating during employment, the restrictive covenant here was to operate once the employee’s service terminated with the employer. The clause in this case read as follows “That you will not be permitted to join any firm of our competitors or run a business of your own in similar lines directly and/or indirectly, for a period of two years at the place of your last posting after you leave the company." The Court while analyzing in depth the various facts and clauses relating to the case coupled with the interpretation of various national and international decisions arrived at the conclusion that all restraints imposed on an individual, post his employment with the employer, is prima facie void and cannot be given effect to. Therefore, what can be inferred from the above two decisions and principles is essentially as to when the breach of contract or service is said to have been committed. If the breach of contract is during the course of one's employment with the company and if the terms of the contract are not too unreasonable, then under such a circumstance law comes to the aid of protecting the employer’s interest as no person/individual can exploit his contractual duties which he is obliged to perform or hold good for the reason of securing another employment or higher pay. But per contra, as laid out in Section 27 of the Indian Contract Act and the interpretation laid down by the Supreme Court in KrishanMurgai, all covenants that restricts anyone post-employment is void, i.e., if the breach of contract or service even if committed post the termination or cessation of one’s employment cannot be a ground to challenge as the same is hit by Section 27 and it is an individual’s fundamental right to practice any trade, profession or business. All contracts which per se restrict an individual’s right to trade, profession or business can be identified as non-compete contracts or clauses. An extensive analysis of the above points only goes to demonstrate that all agreements restraining an individual’s liberty to practice his trade, business or profession as void. This would thereby imply that all other restraints such as non-solicitation, i.e. not to solicit customers or employees or non-confidentiality clauses, i.e. not to disclose confidential information and the like, cannot per se be held to be void, even if imposed post one’s employment. Therefore, to have an understanding on how this principle operates, it is imperative to demonstrate through application of various provisions of law and judicial verdicts the several other exceptions that are available besides the one provided in the Section itself. In fact the Constitution of India itself provides protection to all individuals to practice their choice of trade, occupation, business or profession as per Article 19(1)(g). But this is of course subject to the reasonable restriction imposed in Article 19(6), which implies that no right is absolute. If this principle is adopted in interpreting contracts, then why can’t certain restrictions be imposed if they are reasonable in nature, especially if they don’t impinge upon one’s right to practice any trade, profession or business? When an employee signs a contract or agreement that very clearly mentions that s/he is not supposed to solicit any customers of the employer either pre or post-employment or; not disclose any confidential information or trade secret; or not use for his/her benefit or profit any copyrightable/patentable/trademarkable information or data, then logically, all these points cannot be considered as restraints. The law only protects an individual from practicing his trade, profession or business, but if the same is practiced while infringing someone else’s rights, it cannot and should not come under the purview of Section 27. When an employee for instance works as a Project Manager and his role involves interacting and corresponding with all the customers of his employer and is aware of all the pricing strategies, business models and the like, there is no reason why he should not be restrained post-employment from either soliciting with them or exploiting the information, especially considering the fact that he would not have acquired this information or relationship had he not joined the employer. Similar is the situation of that of an employee dealing with confidential information or trade secret, and the like, let’s say in a pharma or IT company or the like. When companies spend millions in investments, which are either used to build customer relationships or to developing a unique product, software, process, etc., the employee should not be allowed to hide under the garb of Section 27 and misuse it to his/her benefit. The law should protect an employee only for his/her innate skills and that s/he has acquired through experience and not for capitalizing on those things which s/he might not have a right over to start with. Therefore, all covenants that do not restrict an individual’s right to trade, profession or business should not be void. A non-solicitation clause prevents an employee or a former employee from indulging in business with the company’s employees or customers. When an employee signs this kind of an agreement or clause, s/he thereby agrees not to solicit the employees or clients of the company for his/her own benefit during or after his/her employment. This principle of interpreting solicitation clauses was initially dealt by the Delhi High Court in Wipro Ltd. v. Beckman Coulter International SA. In this case, Wipro worked as a sole and exclusive canvassing representative and distributor for Beckman Coulter International, S.A., for a period of 17 years. Subsequently, Beckman Coulter decided to operate directly in India and issued advertisements seeking employment from people and giving preference to candidates having experience in having handled Beckman’s or similar products. Wipro approached the Court seeking injunctive relief and damages alleging that such advertisements were in violation of the non-solicitation clause signed between the parties. The Court after considering all the relevant facts and circumstances arrived at the conclusion that since the restrictions had not been imposed on the employees but on Wipro and Beckman Coulter, Section 27 would not be attracted and thus the agreement was held not in restraint of trade. Similarly in Desiccant Rotors International Pvt. Ltd v BappadityaSarkar&Anr.,CS (OS) No. 337/2008 (decided on July 14, 2009), the Delhi High Court while dealing with the enforceability of solicitation clauses, allowed an injunction against the manager prohibiting him from soliciting Desiccant’s customers and suppliers to stand in effect. The Court however, held that a marketing manager could not in the course of his employment be deemed to possess or be privy to any confidential information and that his written declaration to that effect in his employment agreement was meaningless and subsequently rejected Desiccant’s claim to enforce the confidentiality obligations on the manager. The Calcutta High Court in the case of Embee Software Pvt. Ltd. v. Samir Kumar Shaw,AIR 2012 Cal 141, has brought out the growing importance in protecting client information. The Court while granting injunctive relief held that “acts of soliciting committed by former employees takes such active form that it induces the customers of the former employer to break their contract with the former employer and enter into a contract with the former employee, or prevents other persons from entering into contracts with the former employer” cannot be permitted. The Court in fact went on to opine that client information under certain circumstances can even be considered as a trade secret and therefore, be of high value to an employer. This decision in fact, echoes the decision in Crowson Fabrics Ltd. v. Rider, EWHC 2942, wherein the English Courts held that acts of an employee by retaining various documents such as customer and supplier contact details during employment did not amount to a breach of confidentiality, but such ‘illegitimate’ actions constituted a breach of employees’ duty of fidelity. The principles mentioned above were similarly resonated in the case of Vogueserv International Pvt. Ltd. Vs Rajesh Gupta,CS(OS) 1436/2012, wherein an injunction was granted by the Delhi High Court restraining former employees from soliciting with customers. Similar to the non-solicitation clauses restraining an employee from approaching customers and employees, there are various instances where an employee is required take all reasonable steps in ensuring the confidential information is maintained with the utmost secrecy, except and to the extent when disclosure is mandatory under any law in force. In Escorts Const. Ltd v. Action Const.,AIR 1999 Delhi 73, the Delhi High Court restrained Escorts from manufacturing, selling or offering for sale the Pick-N-Carry Mobile Cranes that were a substantial imitation or reproduction of the industrial drawings of the Plaintiffs, or from using in any other manner whatsoever, the technical know-how. Similarly, in Burlington Home Shopping Pvt. Ltd.v. RajnishChibber,61(1995)DLT6, the Delhi High Court again restrained an employee from carrying on of any business including mail order business by utilizing the list of clientele or customers included in the database of the petitioner. The Court went on to hold that such database in fact amounted to a copyright and thereby deserved protection. In Diljeet Titus v. Mr. Alfred A. Adebare and Others,2006 (32) PTC 609, the defendant was an advocate working at the plaintiff’s law firm. On termination of employment, the defendant took away important confidential business data, such as client lists and proprietary drafts, belonging to the plaintiff. It was contended by the defendants that they were the owners of the copyright work as it was done by them during their employment and the relation between parties was not that of an employer and employee. The Delhi High Court while rejecting this plea went on to hold that the plaintiff had a clear and definitive right in the material taken away by the defendant and accordingly restrained the defendant from using the information taken away illegally. The essence of this decision is that the restraint imposed on the defendants was only with respect to not using the confidential information they acquired from their employment and not with respect to carrying on a similar service. It should be noted that the Delhi High Court did not prohibit the defendants from carrying on a similar service. The Court felt that such a partial restraint was a necessity in protecting the plaintiff’s interest else, it would lead to him suffering an irreparable loss or injury. The Supreme Court in PyarelalBhargava v. State of Rajasthan,AIR 1963 SC 1094, dealt with the issue of an alleged theft of confidential information by an employee who had removed it from the government department and passed it along to a friend who in turn substituted the documents. This friend further removed certain documents while substituting them with others and returned the file the next day. The Court while convicting the employee for theft under Section 378 of the Indian Penal Code held that even a temporary removal of documents with a dishonest intention could cause loss or harm and hence, would be considered as theft. In case of Abhinav Gupta v. State of Haryana,2008 CriLJ 4356, the accused was an ex-employee of a Company and had resigned and joined another Company after his final clearance. During his course of exit interview he had continuously maintained that he would not be joining any company which was in direct competition with his employers. He further agreed that all the confidential information acquired by him during his tenure at work shall be kept confidential at all times. However, two weeks later, it came to the knowledge of his employer that he had joined the competitor. It was also later discovered that the accused had transferred or downloaded various confidential information of his employer into his personal e-mail id. Screenshots of the mail id of the accused was produced by employer which showed that such information was passed on to the competitor company. The Court while holding that the actions of the employee amounted cheating and dishonestly inducing of property under Section 420 and criminal breach of trust under Section 406 of the Indian Penal Code also amounted to the act of hacking as under Section 66 of the Information Technology Act. The Supreme Court had in fact derived an exception that related to the restrictions on a franchisee’s right to deal with competing products during the subsistence of the franchise agreement. The Court in M/S Gujarat Bottling Co. Ltd. vs. The Coca Cola Co., 1995 (5) SCC 545, held that some terms of commercial contracts have passed into the accepted currency of contractual or conveyancing relations, and aim at promoting trade and business. Such terms due to their nature and purpose cannot be said to enter into the field of restraint of trade. The Court while arriving at its conclusions held that a negative stipulation in a franchising agreement, restraining the franchisee from dealing with competing goods, during the subsistence of the franchising agreement, could not be regarded as restraint of the franchisee’s right to trade. What can be seen from the above points is that although it can be argued that most of the exceptions dealt with are rendered by way of judicial interpretation, Section 3(5) of the Competition Act, which is a subsequent legislation to the Contract Act, clearly has taken into consideration the changing times and have recognized and protected the employer’s interest. Therefore, the Courts while interpreting Section 27 of the Contract Act should also make reference to Section 3 of the Competition Act and see if the same is applicable to the facts and circumstances of a particular case. The relevance of inserting restrictive covenants in all kinds of contracts has evolved over a period and gained significant importance specifically due to growing trend of employer-employee disputes. In such times, it is only apt that such a legal hurdle does not come in the way of contracts/agreements signed and entered by individuals of their free will and volition.